Other healthy substances in this odorless softgel include ajoene and lecithin, which can help emulsify fats. Garlic’s sulfur compounds have also been shown to have beneficial properties. 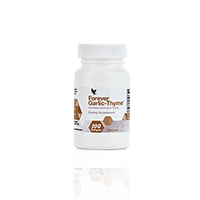 Garlic also contains germanium, a mineral trace element believed to help boost the body’s immune system and selenium, a trace mineral antioxidant.